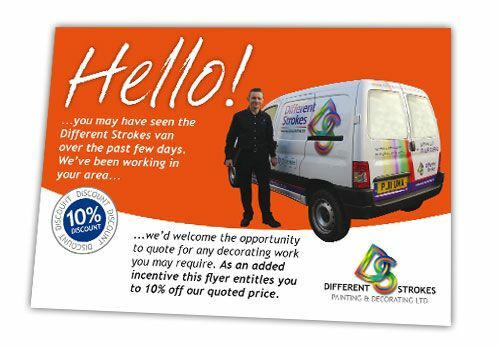 Different Strokes painters and decorators approached us to produce a targeted flyer. The flyer is to be distributed around areas where Different Strokes are operating. The design uses the company’s bright vehicle livery and serves as a visual prompt. The prompt is backed up with the offer of a 10% discount.